Prosecco label Bottega opened an exhibition at the Vienna International Centre in Wien on Monday. 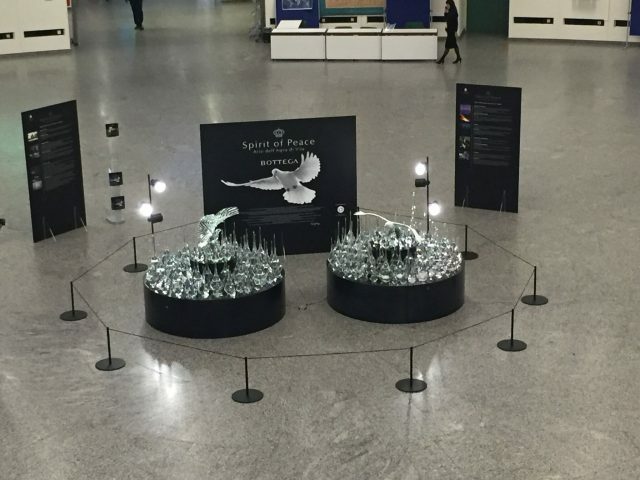 The glass artwork, called the Spirit of Peace and conceived by brand founder Sandro Bottega himself, was created in remebrance of the bombing of Hiroshima. Bottega visited the Hiroshima museum in Japan in 2015, the 70th anniversary of the attack, and gave a donation to the city’s mayor Kazumi Matsui . Matsui, in return, gave the entrepreneur the opportunity to exhibit an artwork in three local museums, and the Spirit of Peace was born. The collection of artistic glass bottles, crafted by master glassblower Pino Signoretto on the Italian island of Murano, was brought to Wien this week. 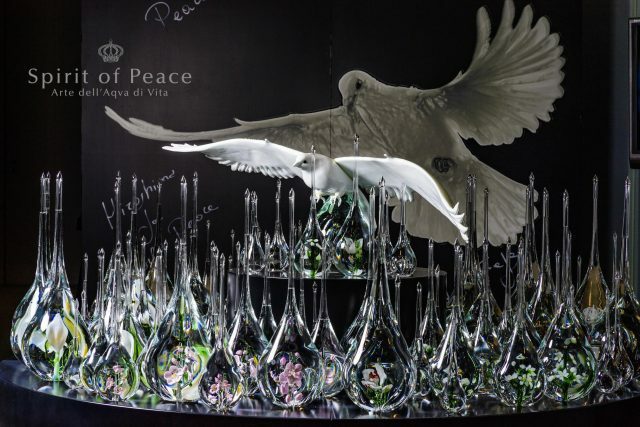 In addition, Bottega is raising money for charity by launching a string of new products including “Peace for the World”, a special Bottega sparkling wine, “Peace for Hiroshima”, a precious handcrafted bottle containing Alexander Prosecco grappa and “Hiroshima for World Peace”, a gift box containing both products.